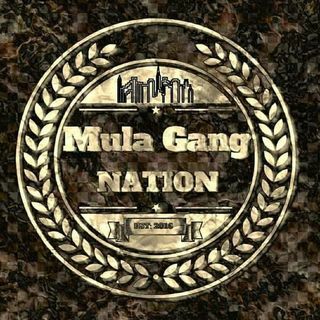 BASED OUT OF JACKSONVILLE, FLORIDA, RAPPER DG MULA GOT INTO THE GAME EARLY 2013. HE BEGAN RAPPING AT THE EARLY AGE 11, WOULDNT BE UNTIL THE AGE 14 HIS PASSION FOR MUSIC GREW. TAKING HIS CRAFT MORE SERIOUS IN THE YEARS TO COME. HE THEN WOULD START TRAVELING DOING SHOWS IN VARIOUS CITIES ALONG THE SOUTH EAST COAST WITH SELF REALEASED MIXTAPE RUSSIAN ROULETTE AND APPEARING ON D41 MOOK B. RADIO. OVER THE YEARS TO COME HE WOULD BUILD A RELATIONSHIP WITH ARTIST CHRIS KNITE WORKING ON VARIOUS PROJECTS ... See More WRITING AND RELEASING SINGLE 'DIDDY' PRODUCED BY GSPENCE. WITH 3 PROJECTS IN THE WORKS I BELIEVE DG MULA WILL NOT BE AN ARTIST TO RECON WITH IN 2019.